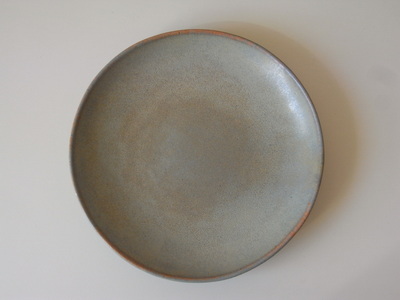 My plates have a Japanese 'Wabi Sabi' feel. They are hand-made with stoneware clay and each one has its own character. 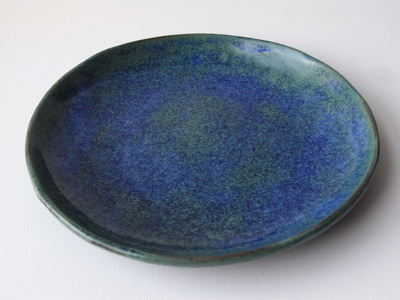 At the moment, they come in one size (approximately 23 cm diameter) and two colours: blue green and creamy satin.